Live streaming, a technology that has been around for years, became white hot this week after it was used to capture the aftermath of the fatal shooting of a black man by a police officer in Minnesota. 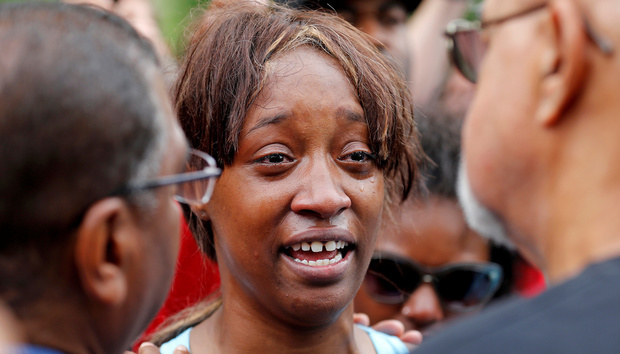 Diamond Reynolds opened her Facebook Live app and live-streamed what happened after the shooting that left her boyfriend Philando Castile dead and a country in turmoil. "Live streaming is quite different ... than what we've seen before," said Dan Olds, an analyst at Gabriel Consulting Group. "Skype and Facetime are most often used as one-to-one communication vehicles. But live-casting is different in that it gives users a one-to-many live broadcasting capability -- something that had only been available to broadcasting companies up until now." Facebook Live automatically records live streams. That capability enabled Reynolds' video to be watched, shared and posted across the internet, across news outlets and around the world. By showing more than photos or a delayed video, the live stream enabled viewers to experience the incident along with the people actually in the car. It was more frightening and more intimate. Not including all the times it has been seen on YouTube and aired by various news services, the video has been shared 5.2 million times from Reynolds' Facebook page alone. Live-streamed events seem to be a phenomenon that people can't turn away from, said Jeff Kagan, an independent industry analyst. "Live streaming is powerful, and I don't really believe we are ready for it yet," he said. "This is the next step into tomorrow. I believe this area will have lots of competition and it will be interesting to watch it mature as we all try it, use it, and get embarrassed by it." Thomas Husson, an analyst at Forrester Research, said live streaming will be pushed ahead by the growing need for "real-time" information. "Live-streaming technologies enable people to simply live and communicate simultaneously," he told Computerworld. "They no longer live and then post content online. It is a shift in how we communicate.… With mobile, anyone can broadcast oneself with no limit." As a technology, live streaming isn't new. It's the way it's being used and how frequently it's being used that is changing. Apps like Periscope, Meerkat, Facebook Live and Stringwire have made broadcasting and watching live streams easy, compelling and fun. In a 2016 survey by AYTM Market Research, 7% of those polled said they regularly use live-streaming services to broadcast, while 10% said they watch live streams regularly. Twenty-eight percent said they have watched a live stream at least once. Including the crushing amount of attention that this week's Facebook Live broadcast received, live streaming and other social media have been in the news a lot recently. On Thursday night, as police in Dallas were under fire from a sniper assault, a witness live-streamed the attack using Facebook Live while seeking cover behind a tree. Last month, a group of Democrats in the U.S. House of Representatives held a sit-in to push for a vote on gun control measures. However, when the Republican leadership ordered C-SPAN's cameras shut off, the group turned to their smartphones and live-streamed their protest using apps like Periscope and Facebook Live. Eventually, C-SPAN and major news channels picked up those live feeds and carried them as well. Later this summer, NBC, which will be airing the 2016 Rio Olympic Games, announced that it will live-stream 4,500 hours of the games. There are many challenges -- such as concerns about privacy and security, and the need for sufficient network bandwidth -- that will arise as live streaming gains more traction. Such issues may come to a head relatively soon as people realize the power of a live feed. Pushing the technology ahead is the fact that apps now are able to offer high-quality live streaming via almost any device. Users are discovering these abilities and are quickly jumping on board. "Despite the tragic circumstances of this week's [shooting aftermath] broadcast, it really showcases Facebook Live's capabilities and potential," Olds said. "The thought that someone was able to get into the tool so quickly and was able to broadcast high-quality video from the side of a street is something that most people will find surprising." As people become increasingly comfortable with sharing and receiving information via live streams, the technology will be further incorporated into enterprise operations. Live streaming already is being used in healthcare. Patients in remote areas can share images of injuries, for instance, with doctors or specialists in other locations. "I think that live-casting will be used increasingly in business in a variety of ways," said Olds. "Chief executives can live-stream meetings to all hands, regardless of where they are in the world. Companies can also communicate live to large groups of customers, perhaps introducing new products or offering timely information about existing products."